Food Safety: Keeping Hot Covered Dishes HOT! He prepared it right before we were scheduled to leave the house so it would be good & hot when we were ready to head out. When he placed his casserole in the oven I also placed a foil-lined brick in the oven so it would heat up as well. I love this old vintage brick that I often use – it’s previously been washed and wrapped in foil for this occasion. I simply slide it onto a separate cookie sheet next to RancherMan’s casserole and they both heated in the oven at the same time. You don’t have to add a heated brick to keep your dish hot while traveling but I find that it does help keep things hot so I like to add this step. When RancherMan’s casserole was finished we carefully wrapped his hot casserole dish in an old towel and placed it in our cooler, which had also been lined with towels for extra insulation. I topped it off with the hot towel-wrapped brick next to the dish to slowly radiate heat inside the cooler while we’re traveling. Finally I added another layer of towels on top everything to tuck it all in nice and hot. When all was packed into the cooler we locked it tightly shut, loaded it into the car and headed out. When we got to our gathering spot we were all able to store our coolers of hot food in another room, out of the hustle & bustle going on in the kitchen until it was time to set the table. This is really helpful since it keeps all the counter tops clear while final preparations are being done. When it was time to eat I was very pleased when I carefully reached in to retrieve RancherMan’s casserole and it was still piping hot. SUCCESS! If you don’t have a cooler large enough to hold your hot casserole you can use the same towel-insulation procedure using a box instead, but I’ve found that boxes don’t typically keep food quite as hot so you’ll want to keep an eye on the temps if you go that route. 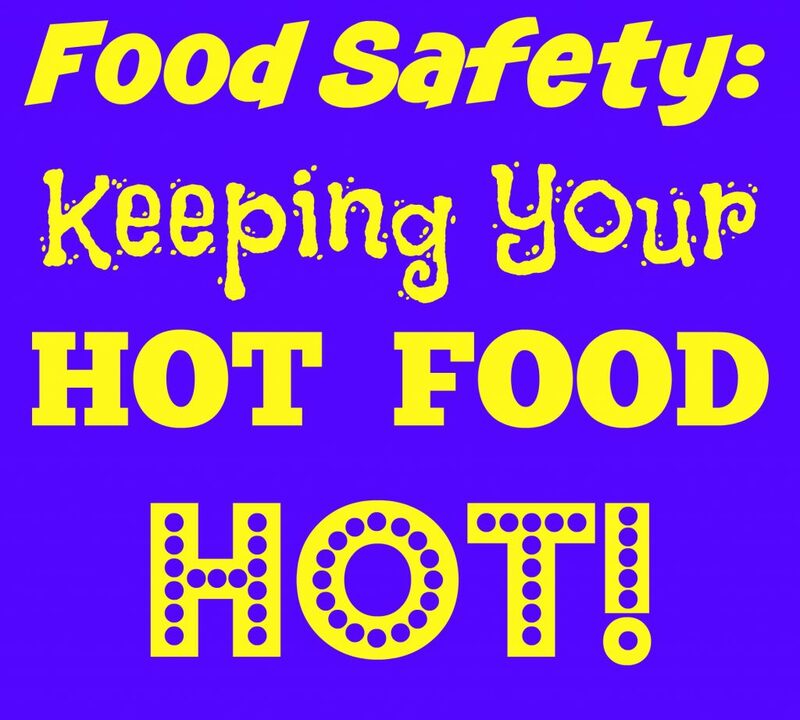 Food safety is important y’all – make sure your hot food stays HOT! This entry was posted in Blog Posts and tagged Cooking, Holidays, Travel on December 20, 2015 by Texas Homesteader. Great idea – Thanks for sharing on the Whats for Dinner link up! What a great idea! This will come in handy, and I love that I don’t have to buy anything “special”, just using what we already have. Merry Christmas to you and yours.